CC image courtesy of Flickr, firdaus omar. Image links to source. HA note: The following is reprinted with permission from Kathryn Brightbill’s blog The Life and Opinions of Kathryn Elizabeth, Person. It was originally published on January 8, 2015. 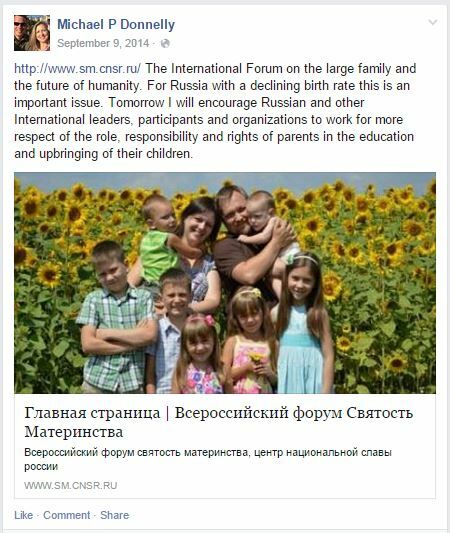 I hope HSLDA doesn’t think that because Russia is “family-friendly” in government that it means that they are open to homeschooling. 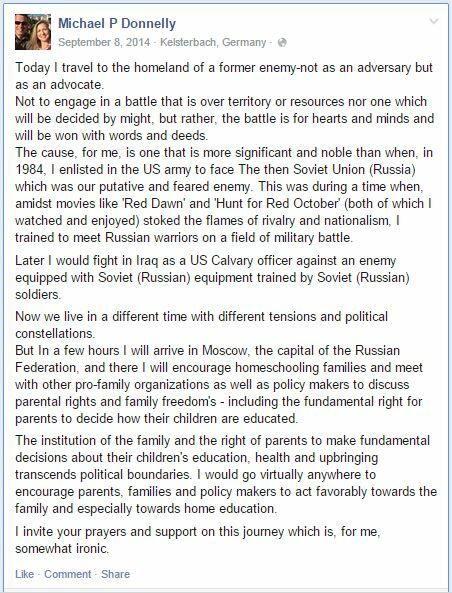 I knew a couple of families in Russia that homeschooled and it is very, very difficult to do so. The families must prove that there is an emotional, social or mental reason why the child should be pulled out of school. Once it happens, the government monitors them very closely. It is because of this government monitoring that makes me wonder why HSLDA would even participate – especially since HSLDA is so against government monitoring homeschooling. The only thing that HSLDA and Russia’s “family-friendly” government can agree upon is its anti-homosexuality position. “God Hates Fags” + “Putin Hates Fags” = “Enemy of My Enemy Is My Friend”. Plus there’s the delicious attraction of sucking up to POWER. HSLDA has little political power itself in the USA. (At least it has a lot more than it thinks it has. Or WANTS.) But in Russia, with it’s President and Autocrat? P.S. Somebody should really tell them that Russia already has a state religion — the Russian Orthodox Church, panting lapdog of Russia’s Autocrat. And they do NOT share that position with any other church. Pretty true, the far right has a fraction that likes Putin for that reason. I see the shift from the south to the midwest again and the mountain states in the Republican party as the south goes more Afro-ameircan in 15 years and the mountain states pick up white population in places like Colorado and Utah and Arizona as a eventually changed from the reconstruction Goldwater philosophy. Its gradual but its starting to changed if you read demographer William Frey where in Georgia the Democrats are closer and the Republicans are doing better in Iowa and Wisconsin. Granted they also have evangelicals but some other religious groups and they are no longer be Georgia’s white evangelicals are gaining. The midwest-Mountain influence in the future will mean the Republican party and the evangelical movement in homeschooling will become a little more moderate but it takes time.